Paris, 1794: a time of political and societal upheaval marked by incredible violence and brutality. A time when making the wrong enemies could mean the blade of the guillotine on your neck. Far removed from the revolutionary actors on the streets, your own personal struggle plays out in the courtroom, as you sentence defendants to death, prison, or exonerate them. You are a judge and you have your own role to play, even as the streets of Paris burn around you. This is We. 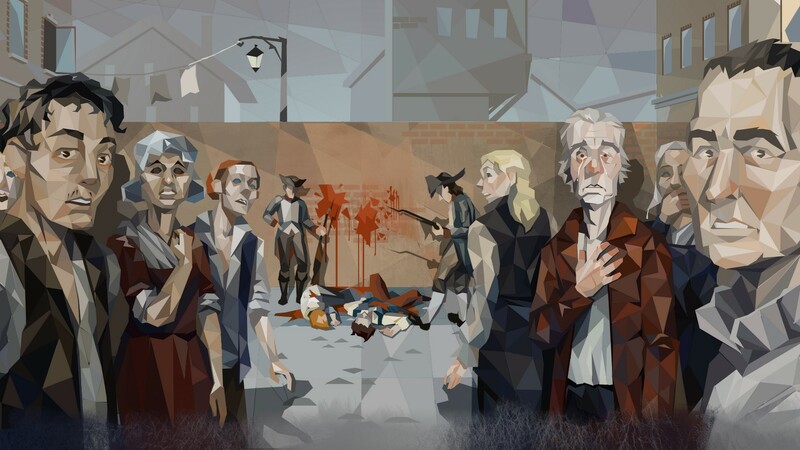 the Revolution, an utterly enchanting game from Polish developer Polyslash. I had the pleasure to speak to the Head of Marketing for Klabater, Lucas Jozefowicz on the show floor at PAX West and here’s what I took away from We. the Revolution. The demo I played was in a pre-alpha state, with only two cases available, but even the small slice that I saw was enrapturing. We. 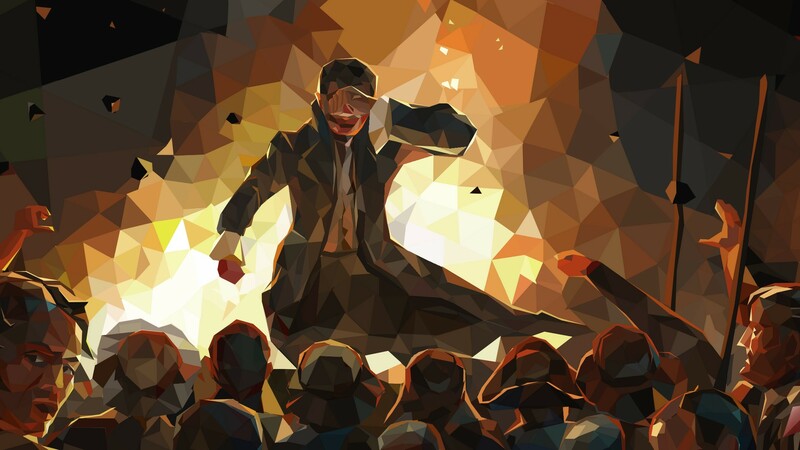 the Revolution is broken up into three parts: trial scenes, which are a majority of the game; conversation scenes that take place at your home; and strategy scenes, which you can direct your own agents on the streets of Paris. The trial scenes, understandably, require the most logic and thought to proceed through them. Before you can return a verdict, you must examine the case facts, and read over supporting testimonies. In addition, you can examine the code of laws to determine the appropriate punishment, depending on what you believe happened. For example, the punishment for murder is the death penalty but murder in self-defense results in a prison sentence. By looking through testimonies and statements you then enter another screen where you attempt to draw connections between events leading to further questioning. For example, the first case I played involved an alcoholic widower who was accused of killing a town guard. The obvious connection would be to tie the man’s alcoholism to his violent disposition, but by linking the alcoholism to the wife’s death, and the wife’s death to the man’s revolutionary activities, you unlock further questioning. You can’t just draw connections infinitely, either. Attempting to brute-force connections means you’re going to get locked out pretty quickly, with two failed attempts locking out an idea entirely. It’s thoughtful, and requires a different mindset from almost all other logical thinking games. Pursuing certain questions can also affect the jury’s opinion in certain ways, too. Asking more emotional questions makes the jury more likely to recommend exculpation, pursuing a more aggressive line of questioning may result in a death penalty recommendation. Asking enough questions also backs up your eventual verdict as well, with a weak verdict more likely to face retribution or disapproval from all sides. Of course, you as the judge ultimately have the final say in what verdict is handed down to the accused, but even then, you have tools available at your disposal. You can bribe the jury to recommend a certain verdict (more on how you get money later,) or use your own influence to ask the jury for a favor. There’s also the ability to coerce the jury into a recommendation but I never unlocked that ability in the playable demo. Verdicts themselves play against the backdrop of three different factions too. There’s the common folk, the neutrals in the French Revolution, the revolutionaries, and the aristocrats. The small slice didn’t allow for these factions to truly come into play, but your own standing will affect certain events as We. the Revolution progresses. The second, smaller portion of the game takes place as conversations between your family at dinner. With a wife and kids to worry about, you must consider your own in a time of incredible violence, as well as threats placed against them. Occasionally politicians will come to you in need of a recommendation, where you craft a letter that suits their personality. You can tell a joke, threaten the recipient, or act humbly towards them, all of which can either make a new ally or enemy. These allies come into play during the final section of the game: the strategy component. With a map of Paris divided up into districts, each controlled by a faction, you move your agents around, spending influence to relay orders. Different districts award different bonuses: more gold, influence, orders, but also may introduce new terrors. With turns passing with each new verdict, and never enough influence to order all your agents at once, the strategic elements add yet another layer onto an already complex package. Even though We. the Revolution is still in an early alpha state, the setup and way it conveys its setting is compelling. One might trace elements of Papers, Please, but only a vague similarity exists. With an entirely hand-painted art style, with digital editing to add polygonal shapes, We. 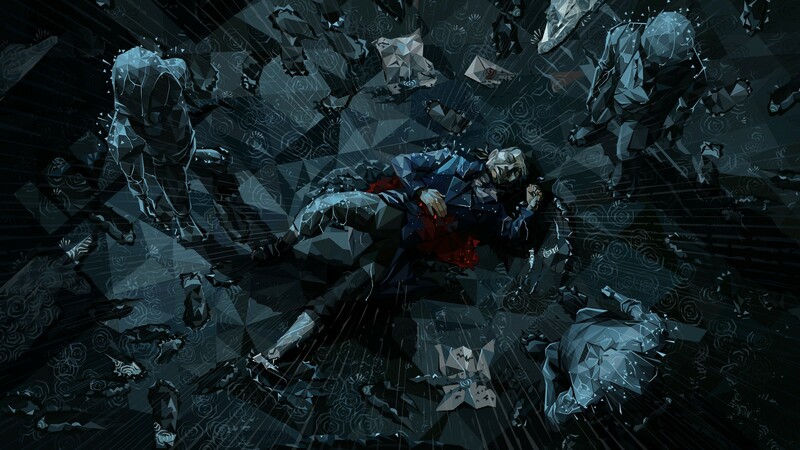 the Revolution is visually striking and entirely memorable. One thing Lucas was adamant on was that while We. the Revolution is set around historical events, they serve more as inspiration than anything. 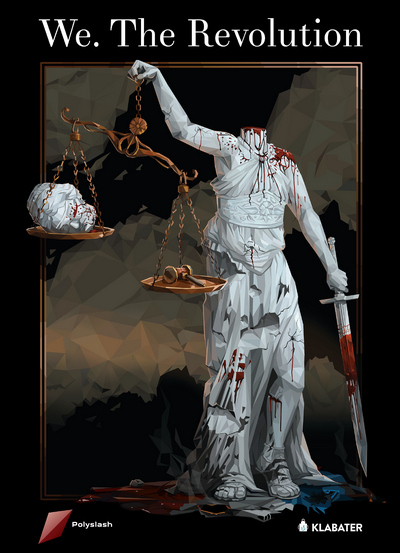 As a judge, you will be able to alter the course of the Revolution in ways that will diverge vastly from history. While historical figures will appear and events will occur, he stressed again and again that this will be a game about your own choices, rather than following history to a letter. With the possibility of seeing your own neck under the guillotine if enough choices don’t work out, mistakes and their consequences are very real. Klabater and Polyslash are aiming for a release sometime in 2018, with English and Polish languages on launch. The two are hoping for French audio support by release, to add to the authenticity of the experience. Until then, you can bet that we’ll be keeping an eye on We. the Revolution.